Stand With Us is a fanatical Zionist organization that is well funded and highly influential. It has a global reach. Whenever such a despicable group thanks a person for their support, then you have to accept that that person is a troublesome Zionist. Stand With Us doesn’t thank any other sort. 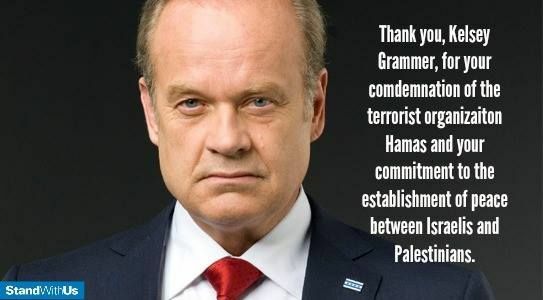 Kelsey Grammer is such a troublesome Zionist. Grammer was born on February 21st, 1955 in the US Virgin Islands. 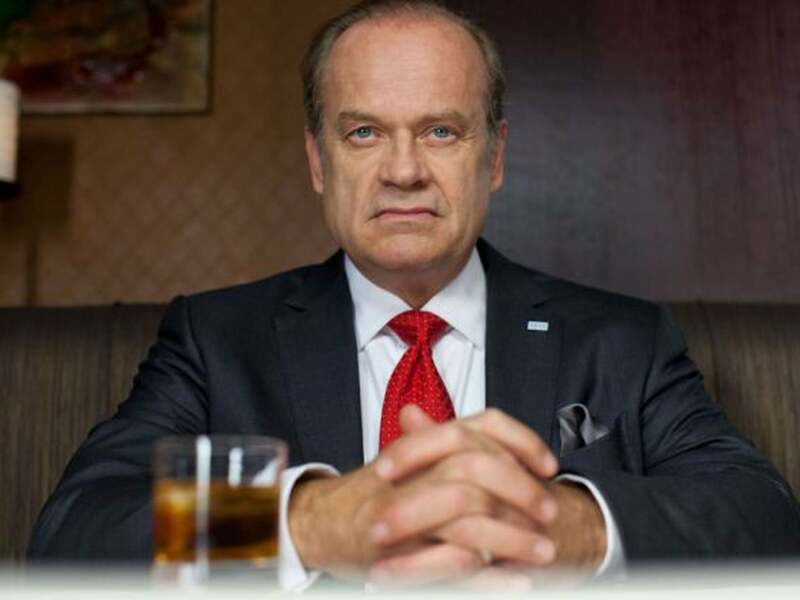 He is best known for his portrayal of Dr. Frasier Crane in both Cheers and Frasier. He has amassed a considerable fortune from his acting career. He is strongly religious, with Christianity playing an important role in his life and escape from alcohol and drug abuse. But Frasier is today better known for his support of the rogue state of Israel. He was one of the 200 signatories of a letter created by the Zionist group, Creative Community for Peace (CCFP), in which those who signed chose to condemn Hamas at a time when the Israeli state was massacring the civilians of Gaza in 2014. The Zionists of Hollywood appeared to care little for the 180 Palestinian children of 5 years of age, or younger, that died during that onslaught. They gave little thought to the 546 children aged 17 years or younger who were also slaughtered. The Zionists of Hollywood, such as Kelsey Grammer, give every appearance of being the kind of vile creatures who do not care about the murder of innocents, if it is Israel who does the killing. Grammer has expressed an interest in running for the position of Mayor of New York, as well as both Congress and the Presidency. He is a Republican of the Tea Party kind who espouses conservative views in many areas. These pseudo-Christian types are often found to be to the fore in support of the actions of the rogue Zionist entity. John Voight, also reviewed by Rebel Voice, is yet another who spews a moral babble that he tries to pass off as reason. It should be of concern to us all that morally confused Zionist apparatchiks, such as Grammer, would consider that they have any hope of eventually running the United States of America. Yet we should not discount him. After all, Trump got in, and Grammer would also have the backing of the all-powerful Israeli lobby. A reminder of where this particular Entertainment Industry bigwig stands with respect to the suffering of the people of Palestine. True, not only in Palestine these EVILS are, but around the Globe !